Bryan is a registered architect and a Historic Preservation Specialist at GWWO, Inc./Architects. During his career, he has contributed significantly to numerous historic preservation projects including work at the U.S. Capitol, the National Archives, the Smithsonian Institution, the Arlington House, Gettysburg National Military Park, Shenandoah National Park, Abraham Lincoln Birthplace National Historic Site, Hampton National Historic Site, Washington College, the Maryland Historical Society, and many others. He received a BA in Historic Preservation from Goucher College and an M.Arch from the University of Florida. During his postgraduate work, he spent time in Mexico studying vernacular and mid-century regional architecture. He has moderated panel discussions at past Preservation Maryland conferences and was a guest speaker at the 2013 APT DC spring symposium. Bill Marzella joined the APT DC board in 2016 as the Marketing Committee Chair, then serving as Treasurer for two years before moving to the Vice President position in 2019. After seven years of experience at EHT Traceries, in 2019 Bill joined the Advisory Council on Historic Preservation as a Program Analyst and Liaison to the Bureau of Land Management. Bill also serves as a Volunteer for the National Building Museum and is a member of the board of the Latrobe Chapter of the Society of Architectural Historians. Bill received an MA in Historic Preservation Planning from Cornell University and a BS in Architecture from the University of Cincinnati. He looks forward to continuing his work with APT DC as Vice President and benefiting from the experience and expertise of its membership! Naomi Doddington is a Project Engineer with Consigli Construction Company. She received her MSHP from the joint Clemson University/College of Charleston Graduate Program in Historic Preservation in Charleston, SC. She previously worked with the National Parks Service's Heritage Documentation Programs (HABS/HAER/HALS) andspent many years as a professional photographer. 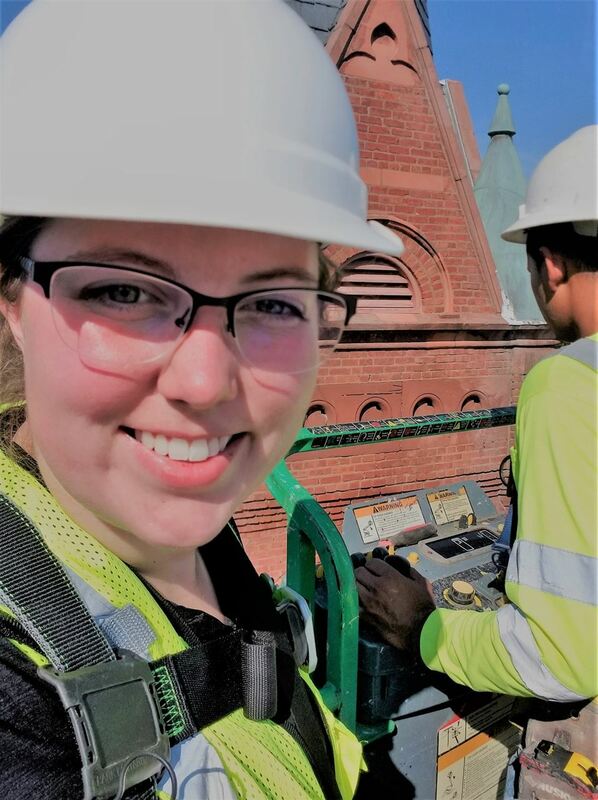 Naomi was honored to be selected as one of the recipients of APTDC's 2017 Emerging Professionals Scholarship which gave her the opportunity to travel to beautiful Detroit, MI where she attended the Preservation Trades Network conference. She's looking forward to another great year of APTDC events! Ellen is originally from Cincinnati, Ohio and graduated from Vanderbilt University with a degree in Civil and Environmental Engineering. She was first introduced to preservation while interning at the Octagon House in college. 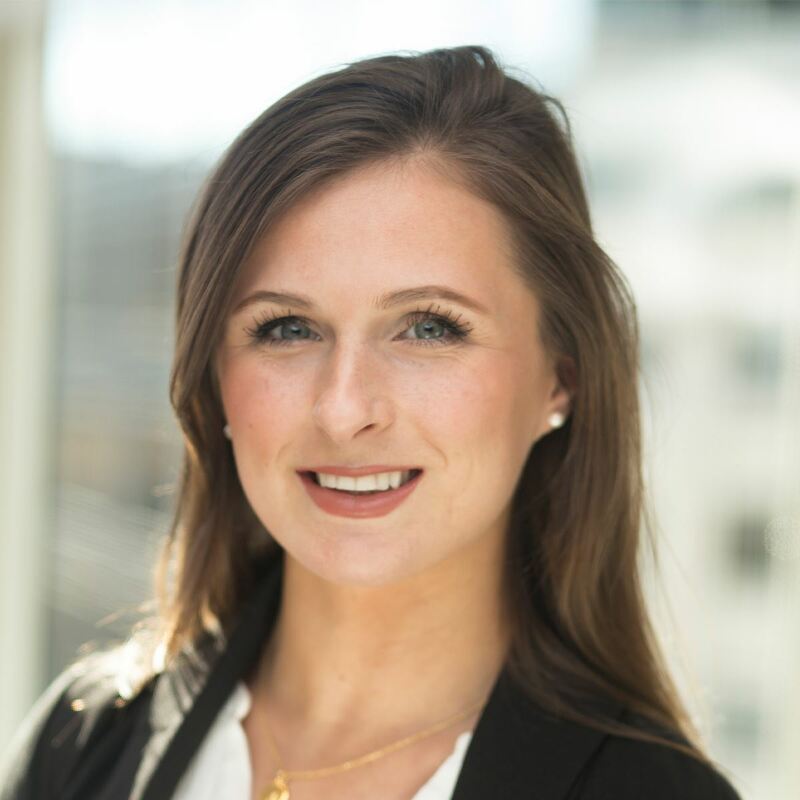 After graduating, Ellen worked with Clark Construction in DC for two years before going back to school and getting a master's degree in Structural Engineering with a focus in Structural Forensics from Columbia University. During her time at Columbia, Ellen studied structural failures and did research on the prevention of structural collapses. She currently works as an engineer at Silman and is enjoying working on a wide range of interesting projects. Katie Hummelt is an architectural historian and preservation specialist at Beyer Blinder Belle. She is proud to work on a variety of public and private projects, contributing to the documentation, preservation, restoration, and rehabilitation of buildings and sites locally and abroad. A native of Alexandria, Virginia, she received a BA in Historic Preservation from the University of Mary Washington and MSc in Architectural Conservation from the University of Edinburgh. After graduation Katie worked for Historic Environment Scotland (HES), where she researched the use of micro-renewables in the historic environment and helped disseminate HES’s research on fabric improvements for energy efficiency in traditional buildings. Katie has been a member of APT DC since 2013 and has served as past Secretary, Events Committee Chair, and Vice President. Caitlin Smith is a Senior Conservator and Project Manager at Conservation Solutions, Inc. Caitlin holds an MS in Historic Preservation from the University of Pennsylvania, and a BA in Historic Preservation and Political Science from the University of Mary Washington. She is a Professional Associate of the American Institute for Conservation (AIC). Prior to joining Conservation Solutions, Caitlin worked as a Conservator at Kreilick Conservation, LLC, and interned with the Architectural Conservation Laboratory at the University of Pennsylvania, Fairmount Park Historic Preservation Trust, Historic Preservation and Museum Studies Internship Program in Jekyll Island, GA, Kenmore Mansion in Fredericksburg, VA, and the US/ICOMOS International Exchange Program in Ename, Belgium. Caitlin has presented her professional research and work at a number of industry conferences, including lectures on modern fiberglass sculpture high work at APT Kansas City 2015, the documentation and replication of limestone sculptures at the 3D Digital Documentation Summit at the Presidio of San Francisco in 2012, and cleaning methods for the removal of limewash from painted plaster surfaces at APT LA in 2009. 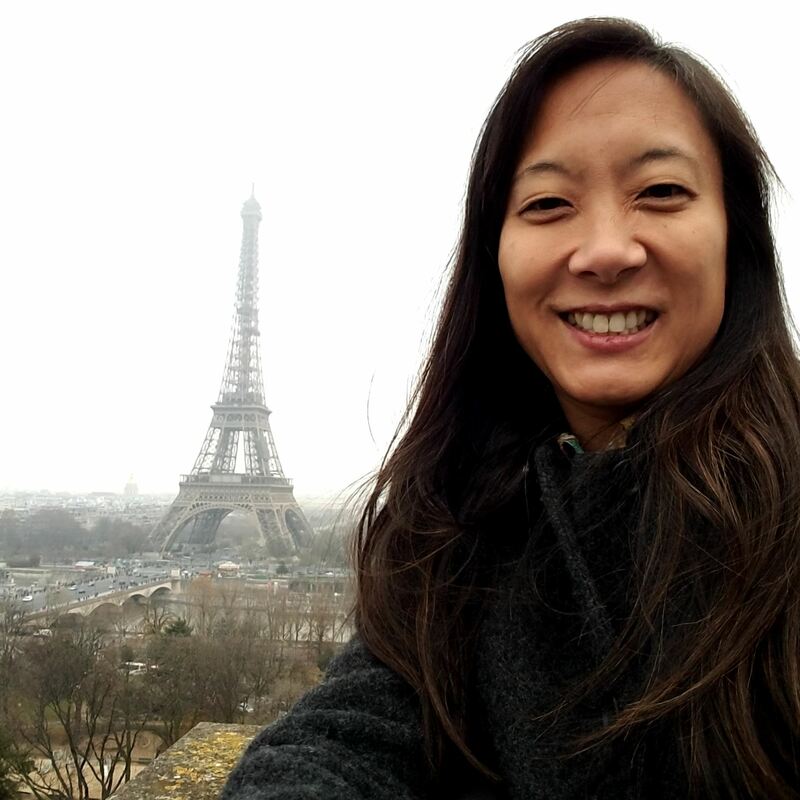 Constance Lai, AIA, NCARB, LEED BD+C, USACE-CQM, is the Manager of Historic Preservation Services for Grunley Construction. Her expertise ranges from design-build protocols to quality control to sustainability. She has over 16 years of experience in historic preservation and has worked on the Eisenhower Executive Office Building, the Washington Monument, the U.S. Capitol, and multiple Smithsonian Institute buildings. She has given presentations at the AIA-DC Chapter, the University of Pennsylvania, and the National Institute of Standards and Technology. She is a 2016-2017 fellow of the AIA-DC Christopher Kelley Leadership Development Program, a board member of the AIA Architects Foundation, a AIA-AF committee member for the Octagon House, and a board member of the National Preservation Institute. In 2017, she was a recipient of the Richard Morris Hunt Prize, which gave her the opportunity to travel and conduct research in France. Mary Catherine Collins is a historic preservation specialist for the U.S. Commission of Fine Arts, where she advises on design and preservation in the Old Georgetown Historic District. She holds a Master of Science in Historic Preservation from the University of Pennsylvania's School of Design and has been a member of APT DC since 2012. She was a recipient of the Emerging Professionals Sponsorship Program (EPSP) in 2013 and served as APT DC treasurer from 2014 to 2016. Jean Stoll is a historic preservation specialist at Aeon Preservation. She is comfortable working on a wide range of projects with Aeon, ranging from architectural conservation and quality control in the field, to writing HSRs and drafting in the office. Originally a NoVA local, she graduated from the Clemson University & College of Charleston's dual program for her MS in Historic Preservation. Prior to joining Aeon, Jean interned with Page & Turnbull in San Francisco and with the Architectural Preservation team at George Washington's Mount Vernon. Tom Vitanza, AIA, NCARB, is the Senior Historical Architect with the U.S. National Park Service, Historic Preservation Training Center (HPTC). Tom coordinates the HPTC Historic Architecture Team whose focus is to work with national park units to manage, document, improve, and make useful and accessible a variety of nationally significant historic structures. Their work with the NPS and its partners has preserved scores of historic structures including: canals, lock houses, lighthouses, Civil War era ships, coastal fortifications, cemetery monuments, historic farmsteads, and many vernacular houses, churches, schools, engineering structures, and ruins. Tom earned his B.Arch at Virginia Tech. APTDC has been a career-long interest and activity for Tom. He served two terms as Co-Vice President before serving as Chapter President (1998). Tom chaired the Emerging Professionals Sponsorship Program (EPSP) from its inception in 2000, as part of the Chapter’s 20th Anniversary activities, until 2014; he is happy to again be EPSP Co-Chair. Tom also serves on the advisory committees for graduate programs in architecture/ historic preservation at the University of Maryland and Bucks County (PA) Community College Historic Preservation Program. In their “spare time,” Tom and his wife Rebecca Stevens are classic movie fans, enjoy browsing independent book stores, patronizing farmers markets, and training their wild cat, "The Yo," to be civilized. Ronda Bernstein originally hails from Memphis, TN. She attended Vanderbilt University where she received her B.E. in Civil and Environmental Engineering. She worked as a structural engineer for Bechtel Corporation for three years before returning to school to obtain her M. Arch from Catholic University. It was there that she was introduced to and fell in love with the historic preservation field. Upon completing graduate school, Ronda had a NCPE internship with GSA, followed by jobs with several private architecture firms. She ultimately ended up working as a federal contractor for the National Park Service. After a detour into the political and non-profit worlds, Ronda returned to historic architecture by running the Octagon Museum for the American Institute of Architects. A licensed architect in the State of Maryland, she is now a historical consultant doing research for private and government clients as well as a licensed tour guide in DC. Dana is an architectural historian at Beyer Blinder Belle Architects & Planners, where she works on a wide range of research and documentation, design review, and regulatory compliance projects. Dana was born and raised in the DC area and returned to the city after obtaining her bachelor's and master's degrees from Haverford and Bryn Mawr Colleges, respectively. She also serves on the Project Review Committee for the DC Preservation League and, as an animal welfare advocate, volunteers for K-9 Lifesavers dog rescue. Dana joined the APT DC board in 2017 as Secretary and is eager to continue supporting the organization as Communications Committee Co-Chair! Kim is a Historic Preservation Specialist with EHT Traceries and serves as a Senior Project Manager and the firm’s Lead of Technical Preservation Services. She graduated with a Master’s degree in Historic Preservation from the Pratt Institute in 2012. After graduation she interned at Frank Lloyd Wright’s Fallingwater where she lived on the grounds of the National Historic Landmark and learned and executed rehabilitation practices throughout the property, including patching, stonerepairs, and repointing. She also received a nine month-NCPE internship with the General Services Administration Central Office. 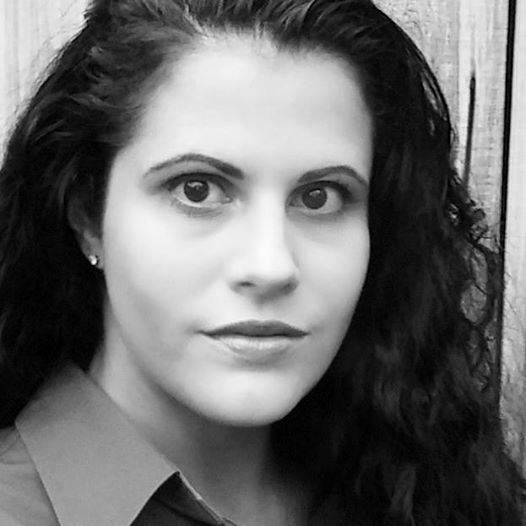 She earned her Bachelor’s degree in Civil and Environmental Engineering from Villanova University in 2006, after which she worked at an engineering consulting firm in King of Prussia, PA.
Kara is an architectural associate and trained historic preservationist at Davis Buckley Architects and Planners (DBA). She enjoys a range of architectural and historic preservation expertise ranging from early colonial to post-war architecture. Kara studied at the l’Ecole nationale supérieure d’architecture de Versailles (ENSA-V), received her Bachelor of Science in Architectural Studies at University of Illinois Urbana-Champaign and recently graduated with a Master of Architecture and a Master of Historic Preservation from the University of Maryland College Park where she earned the Faculty Award for Academic Achievement. She was awarded the 2016 Emerging Professional Sponsorship which has sparked her interest in getting more involved in APT-DC. Kara enjoys a good conversation about concrete, a tasty Chicago-Style hog dog and is looking forward to working with our current and future APT-DC Partners to make our goals possible! Ali Mazurek specializes in building enclosure engineering at Simpson Gumpertz and Heger (SGH), where she consults on designs for new construction, develops rehabilitation programs for existing structures, and investigates performance issues. Her projects encompass a wide range of building enclosure systems and materials ranging from roofing and waterproofing to modern and historic wall systems. Ali has worked on many high-profile buildings in the Washington DC area, such as the Pentagon; U.S. Chamber of Commerce; and the Kennedy Center; as well as buildings and structures constructed as early as 1790 (e.g., Hampton National Historic Site and Greenmount Cemetery). Ali has been a member of APT DC since 2017 and is looking forward to another great year. Lindsay is currently a licensed Architect at GWWO, Inc./Architects in Baltimore, Maryland where she enjoys working on preservation projects ranging from rehabilitations to modern additions to historic properties. A graduate of the University of Virginia with a Bachelor of Architectural History, she holds Master’s Degrees in Architecture from Tulane University and Historic Preservation from Columbia University. Before joining GWWO, Lindsay had worked in the non-profit sector and was also an Americorps*VISTA in New Orleans post-Katrina. She has previously been involved with the American Institute of Architects Historic Resources Committee, Docomomo-Louisiana, and the UVa, Tulane, and Columbia alumni organizations. Moira Nadal is a manager in the National Trust for Historic Preservation’s Easement Program in Washington, D.C. She monitors a portfolio of properties protected in perpetuity across the United States. Moira studied at Bryn Mawr College in the Growth and Structure of Cities program and completed a Master of Science in Historic Preservation at the University of Pennsylvania. Prior to joining the National Trust, Moira was a Historic Preservation Assistant at the New Jersey State Historic Preservation Office where she conducted Section 106, State Register, and Federal Tax Credit reviews. She also currently serves on the Executive Committee of Latinos in Heritage Conservation. Thanks to the APT-DC Emerging Professionals Scholarship for 2017, Moira attended the APT-National Trust of Canada joint conference in Ottawa.